Another partial government shutdown later this week "absolutely cannot" be ruled out, acting White House chief of staff Mick Mulvaney said Sunday. Mulvaney, who also serves as director of the Office of Management and Budget, said on NBC's "Meet the Press" that congressional talks to keep the government open are "all over the map, and I think it's all over the map because of the Democrats." Beginning in late December, several key government agencies closed for a record 35 days because of the ongoing dispute over President Donald Trump's insistence that Congress approve more than $5 billion to pay for a wall on the U.S. southern border. The affected government offices reopened in late January with temporary funding through Feb. 15. "I think the talks are stalled right now. I'm hoping we can get off the dime later today or in the morning because time's ticking away," Senate Appropriations Committee Chairman Richard Shelby (R-Ala.) said on "Fox News Sunday." Along with the continuing disagreement about how much money to devote to border security and such measures should include an actual wall rather than different types of barriers, there's a dispute over the number of beds the government should fund to detain unauthorized migrants. Migrant detention camps have swelled in some towns on the border with Mexico and many of the facilities are full of children detained as part of Trump's controversial family separation policy last year. While lawmakers technically have until Friday to avert a shutdown, they face a more immediate deadline because of Senate procedures that stymie quick passage of legislation. In order to get a bill out of Congress and onto Trump's desk by Feb. 15, work on a funding bill needs to start within the next 24 hours. As a result, there could be a push for another short-term funding bill while efforts continue to reach a final deal. "I'm not confident we're going to get there," Shelby said, estimating the current odds of a deal at "50-50." Even then, it remains unclear whether Trump will accept whatever solution comes out of Congress. He has been threatening for months to declare a "national emergency" and divert money from other programs to build hundreds of miles of wall along the Mexican border if Congress does not appropriate $5.7 billion for the project. 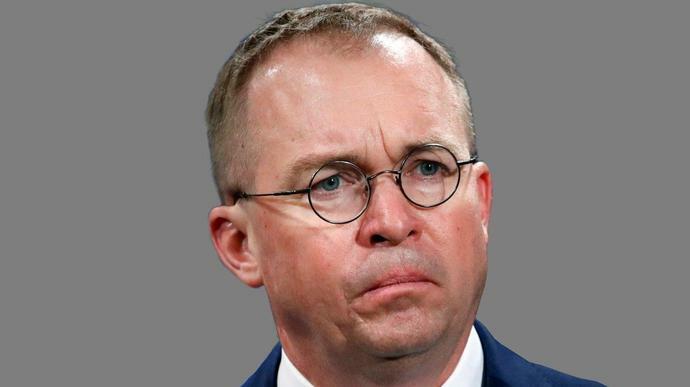 Mulvaney on Sunday broached the prospect of Trump moving ahead with wall construction without resorting to the national emergency route. "There are pots of money where presidents, all presidents, have access to without a national emergency" declaration, he said.